1370.00 sqft. 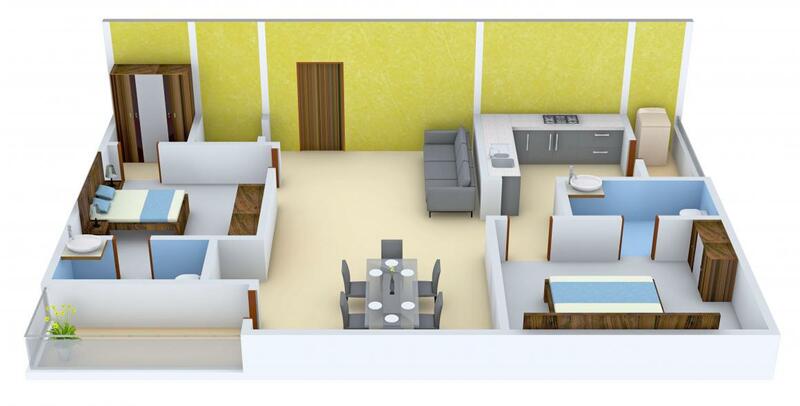 - 2270.00 sqft. 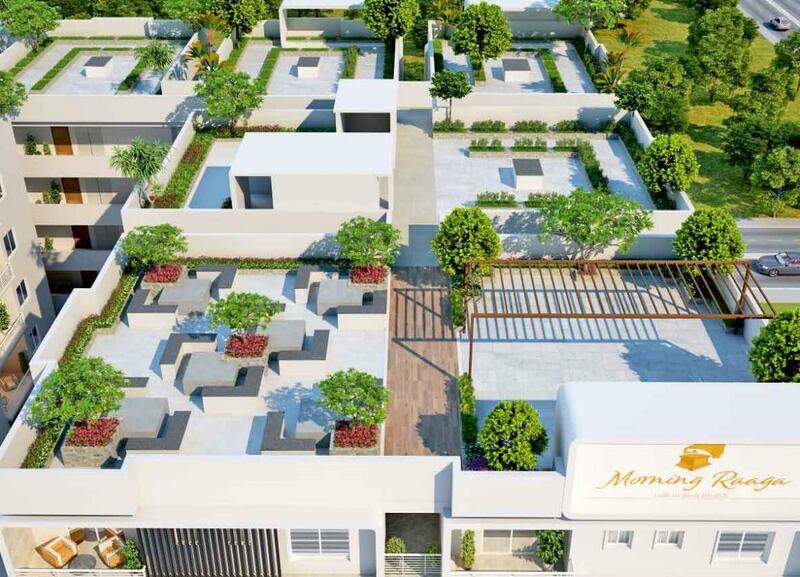 Anuhar Morning Raaga by Anuhar Home situated in Manikonda, Hyderabad. 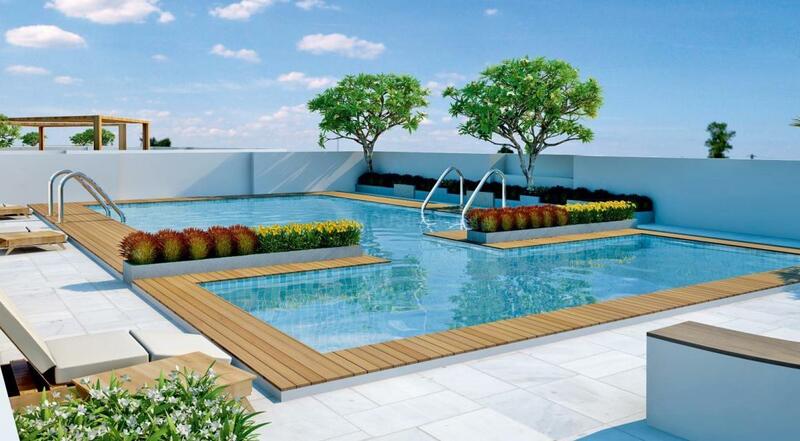 This project is where your experience of fine living comes true. Sprawling across acres of lush greens and wide open spaces, the project allows its residents a harmonious blend of elegance, luxury, and space. The meticulous planning and excellent infrastructure at this project are set to redefine residential standards at its best. The creators have ensured that you never have to compromise on health and hence each apartment receives enough fresh air, cross ventilation and natural light to living a healthy lifestyle. Manikonda is a famous suburb in Hyderabad that is emerging as a favored residential area and a coveted commercial hub in the city. The location enjoys excellent neighborhood advantages that include DPS/ Oakridge/ Future Kids/ Glendale International Schools Hyderbad Gold Club, Golkonda Fort, Kokapet SEZ, Golkonda Resort IT Financial hubs such Gachibowli/Hitec City, Healthcare, shopping and recreation assured at nearby locales like gachibowli/ Jubilee hills/ Mehdipatnam International Airport easily accessible through wide ORR road . The highways that lead to Manikonda include one from Dargah via O U Colony and the other from Shaikpet via sports complex and filter beds. This locality is linked to Film Nagar via the proposed four-lane road at Shaikpet Nala. The nearest Railway Station is at HITEC City that links the area to the other parts of the state. 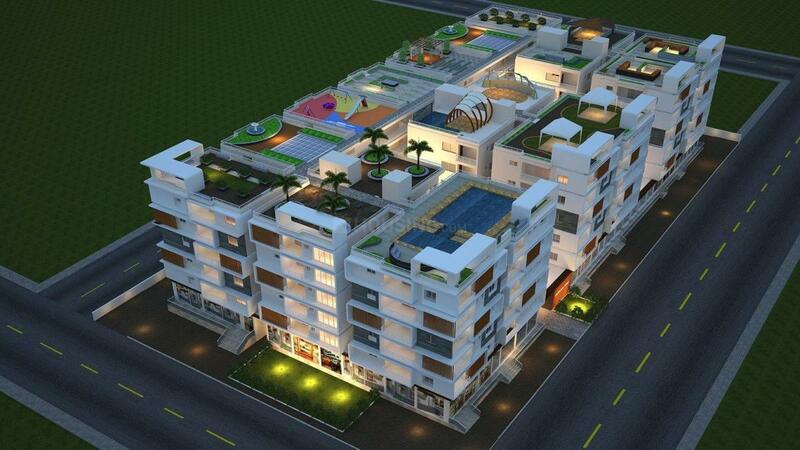 The area is easily accessible from the Rajiv Gandhi International Airport through Outer Ring Road and Lanco Road. Manikonda, OU Colony and The Secretariat Main Road are quickly transforming into commercial hubs with several lavish Metroplexes and eateries. Presence of top-notch software company headquarters have fueled the growth of this region and has made it equally sought after amongst the home seekers as well as corporate giants. All these developments have paved the way for a phenomenal growth in infrastructure, shopping and entertainment of this posh area. Manikonda is turning out to be a favored locale for those IT professionals who are employed in Gachibowli and HITEC City. Delhi Public School exists in the locale. Various basic establishments nearby the locality, including the Rock Park, add to the value of this growing locus and make it lucrative for people. 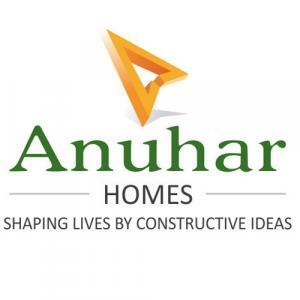 Anuhar Homes is the first proficiently managed builder in the city. They have been in the industry of real estate for many years. They strongly believe in providing satisfied and quality living spaces in the happening locations of the city, thus bringing their customers dream to reality. They are known to build the best homes and with their quality and perfection, have been able to win the hearts of the people.